The Arab Music Archiving and Research foundation (AMAR), in collaboration with the Sharjah Art Foundation (SAF), presents “Sama‘ ”. A concept by Mustafa Said. Welcome to a new episode of “Sama‘ ”. Today we will resume our discussion about the bashraf qarah baṭāq sikāh by kimānist Khuḍr Āghā, arabised by a great musician whose name we do not know. We mentioned that this bashraf (pre-composed instrumental form with often quite long binary rhythmic cycles, played as a prelude to the waṣla. The structural pattern of the bashraf generally alternates four khāna-s and the taslīm/ritornello. There are other types of semi-composed bashraf-s alternating one or two composed sections and an improvisation in a binary rhythm responsorial between the instrumentalists) was probably arabised not too long after it was created, i.e. 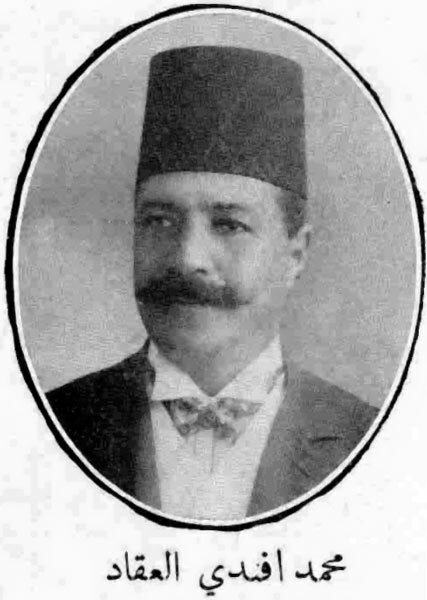 if its author lived in the mid-18th century, then the bashraf was probably arabised in the late 18th century or early 19th century at the latest. We ended our last episode with the taqsīm-s (modal improvisation) and explained in detail that turning the dialogue into a taqsīm did not part completely from the dialogue phrases, at least not in the early recordings. The evolution is based on these ghammāz-s, i.e. the shāhid-s (tonic) of the maqām. He started at the fifth step of the maqām, descended to the shāhid that is the third step of the maqām, changed the maqām at the same shāhid-s, then modulated to the jawāb (high notes. treble). So he ascended to the peak of the maqām through these shāhid-s, not scale-step by scale-step as in taḥmīla-s. So, the long measure is not very absent, at least not in the early recordings. We have presented most factors that are shared by both the arabised and the original versions. We notice that they started extending. During this period, some were still attached to the existing whereas others were rather academic, i.e. while being good musicians, they had learned from books, not from listening and memorising. Until –this is unimportant– they started writing the taqsīm-s from listening to old records. So the taqsīm-s they played were not taqsīm-s anymore since they were now written. You can find many recordings on the Internet. This is not our point. The bashraf flew beyond the Egyptian frame, and reached the Levant where it was performed and recorded. 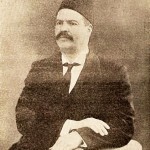 There is a recording of Zakī, Petro, and Sāmī al-Shawwā. The sound is not very clear. He clearly tried, but was unable, to go outside what he had heard and to play his signature continuous pick. Musical pieces had apparently started to be brought through the photograph. In relation to this, let us end today’s episode with a recording of the jawq (ensemble) al-‘irāqī al-mumtāz whose musicians had either heard the bashraf played by an Egyptian takht in Iraq, or had visited the Levant themselves, or had simply heard it on a phonograph. 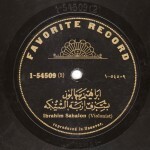 Here is the jawq al-‘irāqī al-mumtāz recording made in Berlin early in 1928, with ‘Āzurī Afandī (‘ūd), Ṣāyūn Afandī (qānūn), and Iskandar Afandī (violin). Before listening to these marvellous taqsīm-s, let us point out that the separation or difference here is in the language. He played it in a very strong Iraqi language… a very beautiful perspective. Now, let us listen to Baidaphon’s full electrical recording. We have reached the end of today’s episode of “Sama‘ ”. 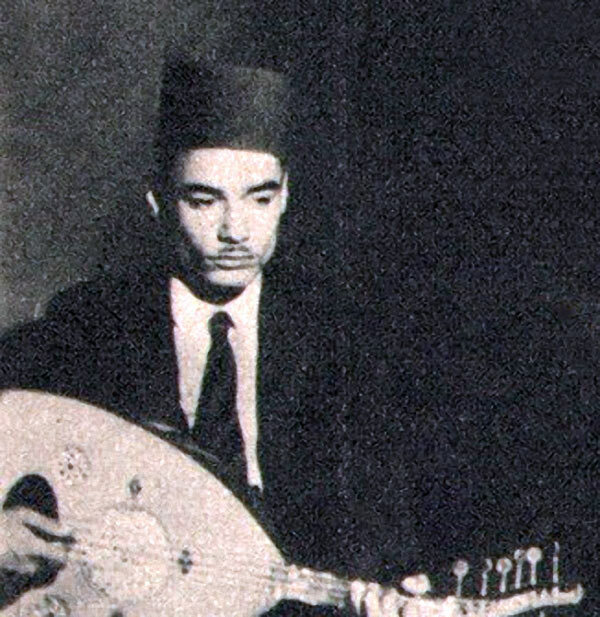 We will meet again in a new episode to resume our discussion about kimānist Khuḍr Āghā’s bashraf qarah baṭāq sikāh, arabised by an unknown great musician. “Sama‘ ” was presented to you by AMAR.